I went to a party the other day with a few friends, only to be left hugely disappointed. Just as we were making our way in, there was huge excitement and the mood to dance running high. But to our utter disappointment, the DJ went missing and the music-less party seemed to collapse. In what seems to be a very similar case, West Indies has failed to make the cut for the Champions Trophy 2017 and the tournament touted to be “Champions’ World Cup”, will seemingly miss all the glamour and many champions. Coming on the back of the IPL, an event rich in glamour, the absence of the West Indies at the Champions Trophy will find it severely lacking in glamour and might not make for a perfect tournament. The current World T20 Champions West Indies have greatly added to the glamour and flavor of any international event, be it from their flamboyant playing style or their hugely entertaining celebrations or their mini battles as part of a bigger war. 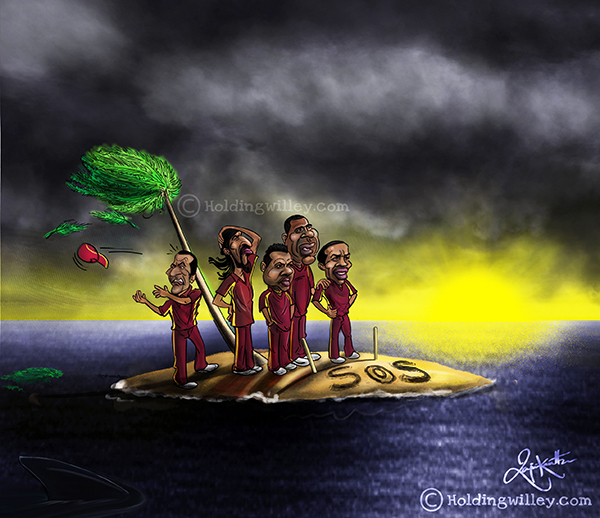 For this very reason, the Windies have almost always added to the profile of an event. Recent incidents point in the same direction. Although despicable, who else could do what Marlon Samuels did at the Press Conference? Answering question with his feet up on the table and pads on. Carlos Braithwaite’s four 6’s off the last over was another incident worth remembering and something that keeps the sport alive and kicking. If this wasn’t it, Dwayne Bravo’s hot number ‘Champion’ added fervor to the sport and rocked the charts for many months. And who could forget Chris Gayle’s swashbuckling innings, hitting the fastest of bowlers out of the ground. "I've said it many times that I play for the people. The commentators get paid to speak. The media get paid to write stories. I get paid to play cricket. And I always say I live my life one way. Christ came to this earth, did nothing wrong and yet was crucified. I'm nowhere close to that man. 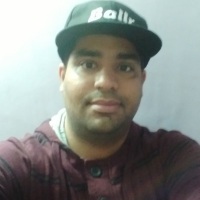 Anybody could have an opinion about me. I like it. My shoulders are broad enough. It's been like that from the time I started cricket. Once I wear this crest, I wear it on my heart. I don't play for glory. I play for the Caribbean people." Now who wouldn’t love the West Indies and miss them? There are the cricket credentials to back it up. The powerhouses of cricket in the early 70’s to the early 80’s, West Indies enjoyed a whopping 73.33% winning rate in that period, winning 44 of their 60 games. Despite having won the T20 World Cup in 2012 and 2016, there has been predicament over the years in the ODI format for the West Indies. In recent times, they haven’t enjoyed great results and have one of the worst win percentages in the game, including associate nations like Hong Kong, Papua New Guinea and Ireland. Since 2010, the West Indies have managed to garner just five series wins, four of which have come against lower ranked sides: Ireland, Bangladesh and Zimbabwe. Their performances in the 2011 and 2015 editions of the World Cup weren’t impressive either. A team that had shown great spirit and grit to win the 2004 edition of the Champions Trophy now find themselves out of it. But they have only themselves to blame. Issues with the board, declining standards of players and stars going missing for most tournaments; the team has been hit hard and are suffering. A team that adds so much to the game needs to get their act together. If they don’t, missing a tournament of the stature of the Champions Trophy could be a regular affair. That would never be good news for the sport, for cricket needs their party players back.